In reviewing my list of 10 tips for self-publishing in 2017, one of the most intimidating tasks for me is the idea of creating a fan base. Where does one begin? What works, and what doesn’t? My head spins at the thought of accomplishing such a big task. Despite my questions, I’ve been assured by several authors that it’s important to have this done well before the book comes out. From author websites and blogs to social media accounts and mail lists, we’re going to take a look at how to overcome this obstacle on the road to successful self-publishing. It takes a long time to write a book. When the actual writing process is through, there are still several rounds of edits to get through before a manuscript is ready to be published. Once the first book is out, writers are encouraged to get to work on the next story because your readers will want more—and soon. Blogging is a great way to build your readership before the book launches and also maintain front-of-mind awareness so your followers don’t forget about you. 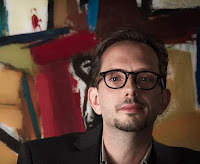 Eric Vance Walton, a novelist, poet, and blogger, recommends blogging about your book’s characters as well as the behind-the-scenes process of writing a novel and your frustrations with the process. “People are fascinated by all of this, and it creates a lot of anticipation for your book,” he says. When it comes to social media, author Nina Mizner advises that it’s never too early to create your social media accounts. You can use these accounts to promote your author website and your weekly blog posts, although Mizner warns that your content should be about more than just promotions for your book. She recommends doing some research on your favorite authors to see the different ways they utilize social media and the types of fresh content they share. 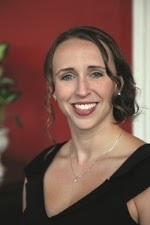 Ingis utilizes social media in addition to her weekly blog. She uses The Killion Group, a marketing company with experience in publishing, to post for her on Facebook and Twitter five days a week. From her experience, following those on social media who follow her also helps grow her reach. When creating your social media accounts for promotional purposes, make sure you are using the sites that are popular with your targeted audience. For instance, if you write young adult novels, Instagram—NOT Facebook—is where you want to set up camp. This will require some research, but it’s something you definitely want to get right in order for your efforts to be worthwhile. Mail lists are a great way to stay in touch with your readers, and Constant Contact and MailChimp are great sites that simplify this process. Both sites will manage your email database for you. Constant Contact has a monthly fee, but MailChimp is free once you reach a certain number of subscribers. Beware: when you use these sites, the subscribers must sign up. You cannot add whoever you want to the list without their permission. Sandy Tritt, founder and CEO of Inspiration for Writers, uses Constant Contact for marketing and says creating a mail list is important because newsletters are a great way to keep your name in front of your followers. There is a link to a sign-up form on Inspiration for Writers’ website. “Whenever I set up at a book festival or some such thing, I often do a door prize drawing for those who fill out the subscription form at my booth,” she says. Walton drives people to the subscription form on his website through links on his social media and blog posts. “This way, I can build my own lists for free, and I know the people on the lists have at least a mild interest because they signed up.” His newsletter offers exclusive content, such as updates on new releases, speaking engagements, and workshops and classes. He uses the newsletter to make this information available weeks before sharing it anywhere else so there is incentive for fans to subscribe. Out of all of these marketing options there are bound to be things that work and things that don’t. Here are a few these authors have had good experience with. Networking: According to Ingis, networking is a great way to build a fan base. While we all have one main group—family and friends—we need to expand our reach to writing groups, social groups, church groups, membership organizations and clubs. Last week, I shared a list of 10 steps on how to self-publish your book by the end of 2017. Self-publishing is no simple task, and even as the author of the list, I admit I’m feeling overwhelmed by the amount of work that lies ahead. It’s times like this when it’s important to look to those who have successfully self-published for guidance—and encouragement. If you know authors who have made self-publishing work for them, don’t be shy. Ask them about how they did it. I don’t know of any authors who don’t like to talk about their work, and the amount of knowledge you can gain from their hard-learned industry lessons will be invaluable. One of the self-published authors I like to turn to is Eric Vance Walton, a novelist, poet, and blogger who ventured into self-publishing in 2013 with Alarm Clock Dawn, the first of his dystopian trilogy. 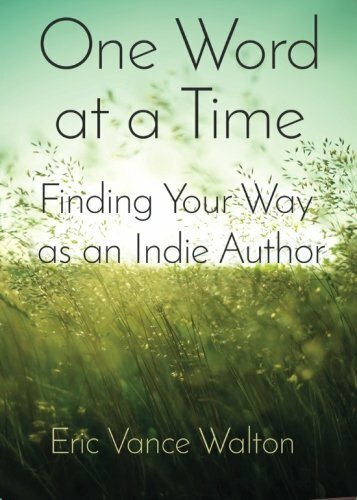 Walton put the trilogy on hold to publish One Word at a Time: Finding Your Way as an Indie Author in 2014 through a traditional publishing house, an experience that taught him to appreciate the freedom of self-publishing. Here he shares his journey through self-publishing and why he would do it all over again. EVW: Frankly, I chose self-publishing because it was my only viable choice at the time. This was in the late 90s before larger platforms like Amazon’s CreateSpace existed. Traditional publishers weren’t willing to publish me as a new author since I hadn’t already made a name for myself. Now we have many more choices, and even established authors are choosing to self-publish because they have more control of the whole process. In the past, self-publishing had a stigma attached to it. Did this have any influence on your decision to pursue it? EVW: In my experience, this stigma is gone for the most part. If you produce a quality book, have a great cover, and the book is marketed well, your work can be as attractive as a book from a major publishing house. I was traditionally published for the first time in 2014, and I probably wouldn’t go that route again. You can make more of a profit and have greater control self-publishing. What is the most challenging thing about self-publishing? EVW: The most challenging aspect of self-publishing is you have to wear all of the hats—editing, book design, marketing, et cetera—or hire professionals. I would strongly suggest hiring an editor and professional book cover designer at the very least. Also, to ensure you recoup your investment and make a profit, you must already have a loyal readership built before you launch a book. You can do this by blogging and writing regularly on social media sites. Build a mailing list independent of social media using an app like MailChimp. Building your mailing list should be a top priority because this allows you to market directly to potential customers. EVW: The work only just begins when you finish writing the book. Tell us about how you marketed your novel. 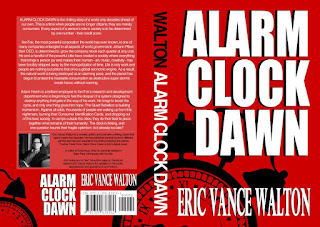 EVW: I had already built a loyal readership on Facebook before I launched Alarm Clock Dawn, so I mainly marketed on my Facebook author page. I boosted a few ads to improve outreach there. I also collaborated with other bloggers, and they reviewed my book on their blog. This helped a lot. What kind of success have you seen with Alarm Clock Dawn? EVW: The novel had decent sales in the first few months after publication in 2013, but after this initial surge, sales plateaued. This past summer, I started releasing my novel in installments on a new social media platform called Steemit. This breathed new life into my novel and will likely give me the freedom to write full time very soon. What advice would you give someone who wants to self-publish in 2017? EVW: To do it effectively, I would say give yourself at least six to nine months from the time your book is done to do an effective launch. This timeframe is if you already have a loyal readership and mailing list built from blogging and writing on social media. Thank you, Eric! If you are interested in Eric's work, you can visit his website here. and One Word at a Time: Finding Your Way as an Indie Author here. Another year has come and gone, and my mostly finished manuscript is still sitting on my desktop. Working full time, juggling side projects and managing daily life have pushed writing down my priority list over the last 12 months. If you’re like me, 2017 represents the chance to change that. This year, I have my sights set on self-publishing, and having a plan to get me through the process will be key. Below, I have shared the steps I have compiled for how to self-publish in the next 365 days. These are based on the input of published authors and experienced editors from a variety of genres. I encourage you to follow these steps or do some research to come up with your own—either way, make sure you have a plan in place so that self-publishing in 2017 is a goal met instead of another year lost. If your manuscript isn’t finished, you should be writing instead of worrying about what to do with an incomplete novel. If you’re struggling to get the manuscript finished, make it a point to sit down every day and write. 2.) Begin building your fan base. Author Eric Vance Walton says it’s important to have an established fan base before your book comes out, and he recommends building a following by blogging and writing regularly on social media. Nina Mizner, who self-published several science fiction and romance novels, believes it’s never too soon to create your social media accounts. 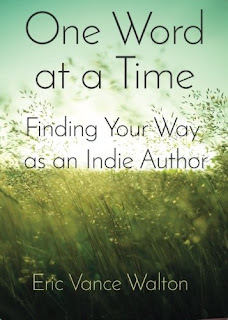 Gail Ingis, author of Indigo Sky, best connects with her fan base through weekly blog posts that share personal content. 3.) Polish your draft with edits and rewrites. When you’ve finished your first draft, you’ll have to go back through the draft several times to cut unnecessary scenes and address problems like too much internal dialoging and telling where you should be showing. 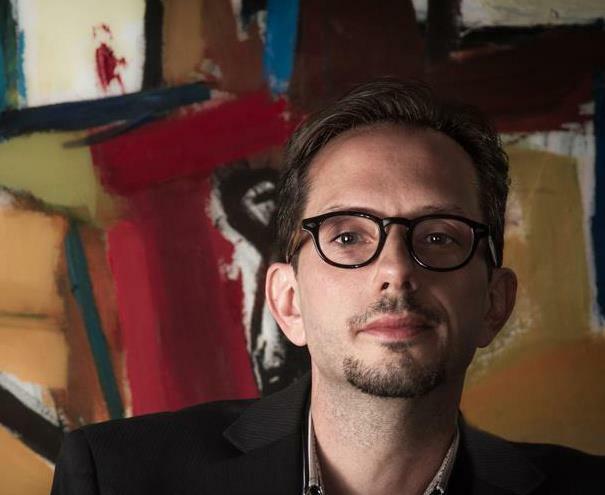 Award-winning author Eric Fritzius recommends reading the manuscript out loud, preferably from a printed page. “Nothing brings out errors better than seeing them on a printed piece of paper, and doubly so for hearing them come out of your own mouth.” This is not in lieu of hiring a professional editor (see step #7). Once you’ve polished your draft, pass the manuscript off to at least two beta readers who will provide honest, constructive feedback. If your mother or best friend is only going to tell you how amazing your novel is, don’t pick them for beta readers. Your best possible novel emerges only when people give you constructive criticism—and when you are willing to take it. 5.) Research self-publishing options so you can choose the medium that is right for you. According to Sandi Rog, an award-winning author, ghost writer and editor, there are several options for indie authors, depending on the format they choose. For instance, Amazon provides Kindle Desktop Publishing for e-books and CreateSpace for print. Other options include Ingram Spark, Lightning Source, and Whitaker House. It’s important to research each company’s policies, costs, and offerings to protect your novel and yourself. 6.) Review the feedback from your beta readers. Once you receive your beta readers’ feedback, review their comments and address their concerns. This will require another round of rewriting and editing on your part. 7.) Hire a professional editor. 8.) Hire a cover designer. “People say don’t judge a book by its cover, but people do, and it’s what will likely get your book into a reader’s hands,” says author Sandi Rog. The cover is the first sales pitch you give to readers and, for that reason, it needs to be the best possible. 9.) Do a final edit on the proof. Before publishing, order a proof of your novel and perform one more edit. When you find errors in the proof—yes, WHEN—mark them with red ink and dog-ear the pages with corrections to be made. This ensures you won’t miss any final changes that need to be made. Remember: this is your last chance. 10.) Create your marketing plan. Author web sites, blogs, social media accounts, newsletters, reviews, special promotions—there are dozens of ways to get your book’s name out to the masses. Do some research to determine which methods are best for your novel.